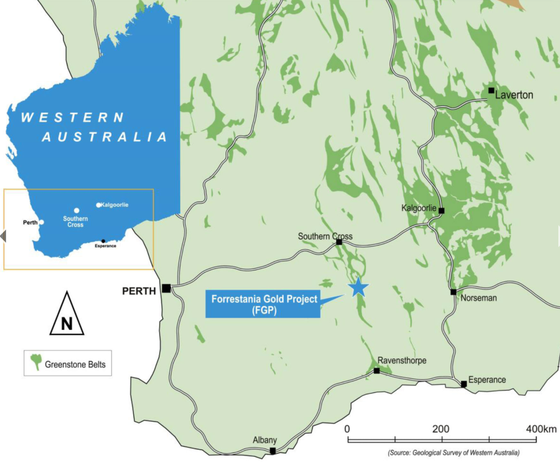 Argonaut analyst, James Wilson has pointed to some promising aspects that have emerged from Classic Minerals’ (ASX:CLZ) latest drill campaign at the Forrestania Gold Project (FGP) in Western Australia (CLZ:80% of gold rights, Hannans Ltd (HNR) 20%). Drilling at the Kat Gap prospect returned multiple shallow high-grade intercepts as indicated below. Wilson was particularly interested in the new zone of mineralisation discovered 30 kilometres west of the main Kat Gap lode within granite rocks, noting that gold mineralisation within the Forrestania Belt most commonly occurs along the granite-greenstone contact. The better results from this area were 8 metres at 7.14 g/t gold and 3 metres at 10.7 g/t gold. Positive news over the last month certainly hasn’t been lost on investors with the company’s shares doubling from a 12 month low of .03 cents in late June to an intraday high of .06 cents yesterday. Tuesday’s trading volumes were the fourth highest in the last 12 months. Wilson also commented on the 10 holes that were drilled at the Lady Magdalene deposit, highlighting that thick zones of mineralisation were intercepted in the main lode and a new zone of high grade mineralisation was discovered to the north within narrow cross-cutting quartz veins. It should be noted here that whilst the company has delivered strong results, investors should still take a cautious approach to their investment decision in this stock and seek professional financial advice. Wilson noted that these veins drilled to the north of Lady Magdalene were in a similar orientation to those seen in the Lady Ada deposit 600 metres to the south. Whilst narrow, he said these veins have the potential to thicken and host significant gold, as witnessed in the Lady Ada pit which would significantly lift the grade of the current resource. Classic already has a starter resource from historic exploration containing circa 240,000 ounces at 1.4g/t gold, and Wilson sees the potential to rapidly expand upon this with a fresh approach and modern exploration techniques. He also noted that the Lakewood / Marvel Loch processing facility is 100 kilometres north of the project area. The plant has a processing capacity of about 1.2 million tonnes per annum, which he believes is currently underfed. Classic has a preferred client agreement with plant operator, Minjar and a Memorandum of Understanding (MOU) with a private third party for specific mining, haulage and treatment costs in return for profit sharing. Wilson is of the view that grades witnessed in the recent drilling should support economic transport and tolling. 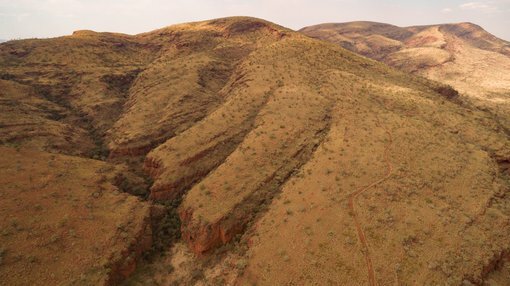 He also pointed to the area’s lithium potential, particularly in light of the discovery of the world class Mt Holland lithium discovery by Kidman Resources. Wilson noted that Classic’s tenements are also prospective for lithium with a number of pegmatites being identified from historic mapping. The company recently composited two rock chip samples from historic holes proving the presence of LCT-pegmatite style mineralisation.